For this card I combined my love for easel cards with my affection for the Hometown Greetings dies! 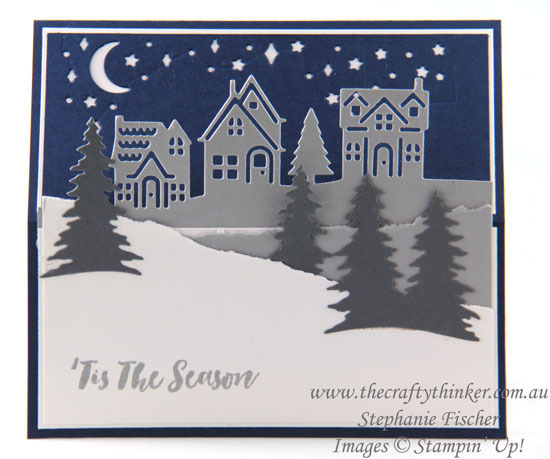 I also used the Card Front Builder dies for the starry sky and the trees and the Christmas Staircase dies for the pine branches and bows inside the card. 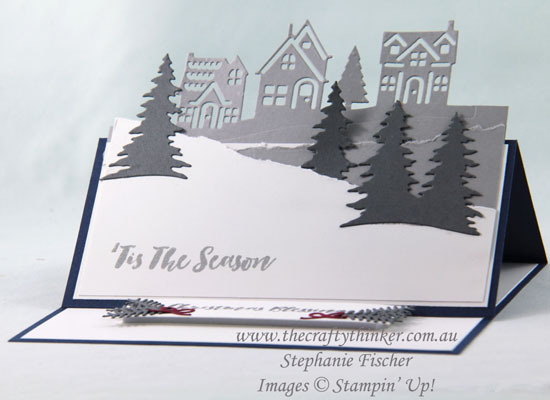 The greetings are from the Christmas Pines stamp set. 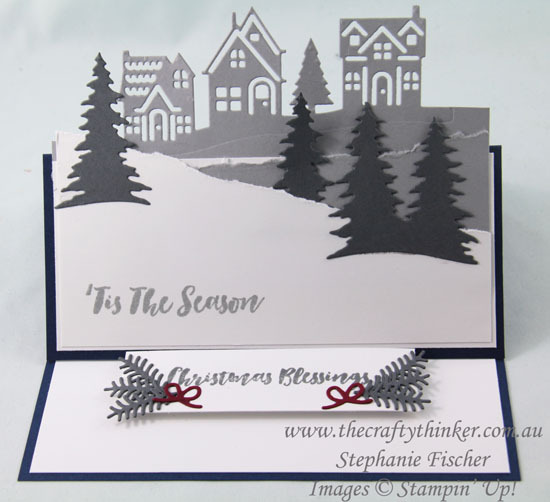 When the easel card is propped open, the Hometown Greetings houses stand proud.